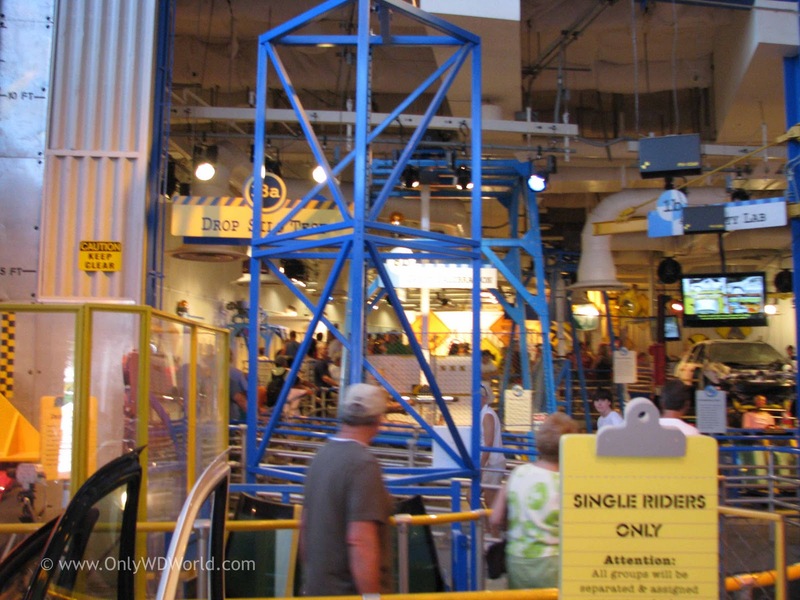 At the Walt Disney World Resort they don't have mere rides, they have attractions. 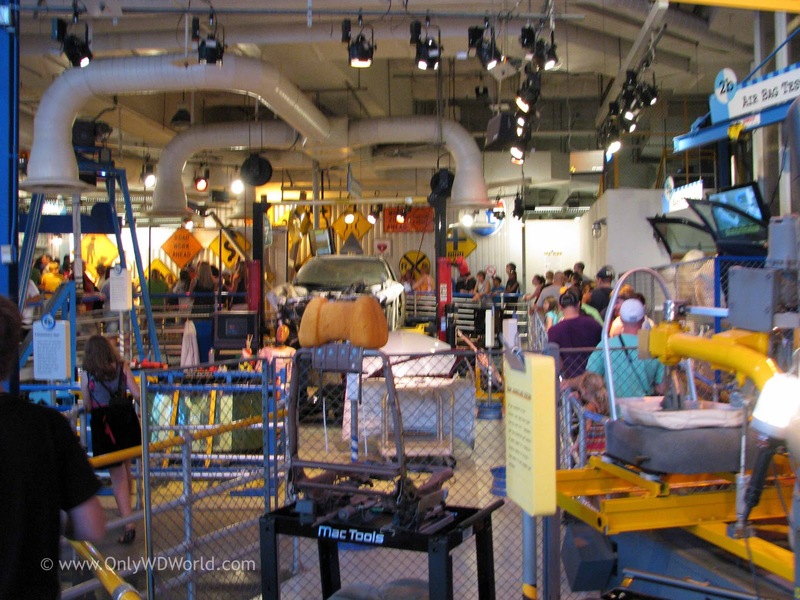 They are called that because they are truly immersive experiences that put you, as the guest, into the story that they are telling. 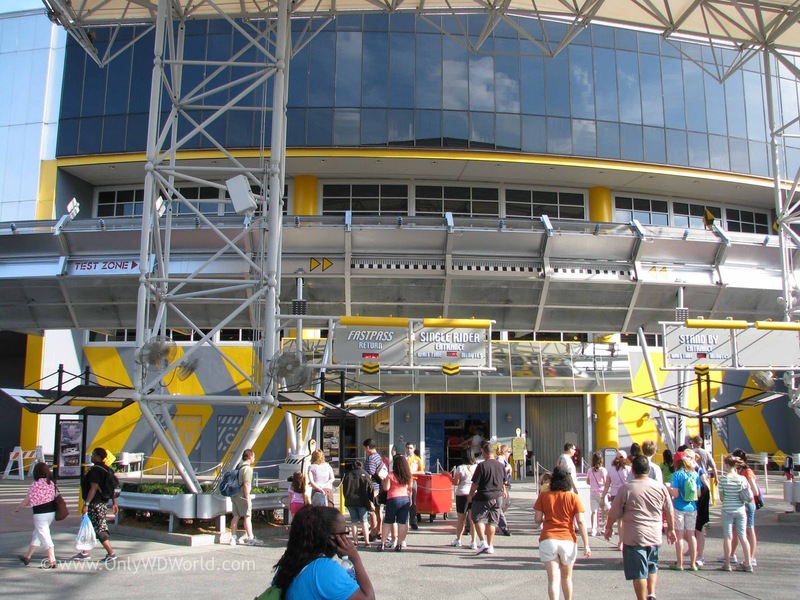 From the moment you step in line you are entertained. 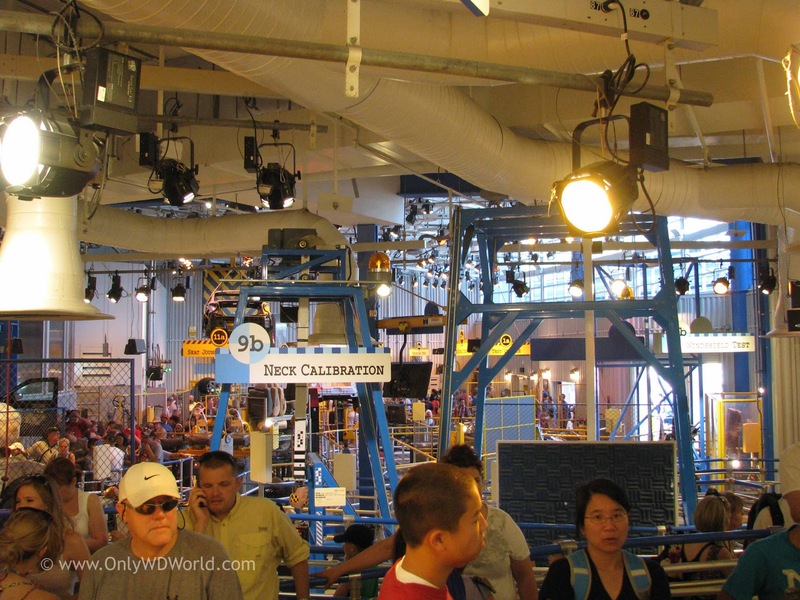 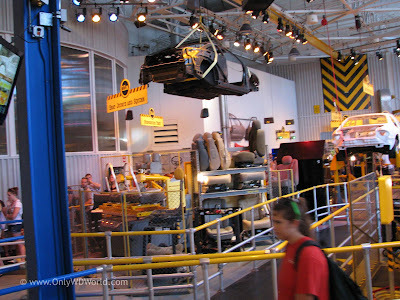 At Epcot, one great example of this experience is Test Track. 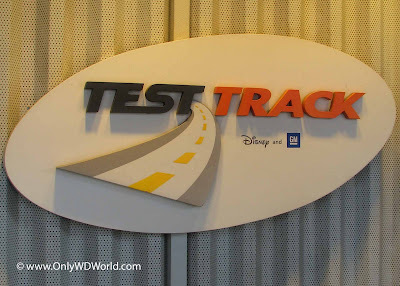 General Motors (soon to be represented by only their flagship Chevrolet Brand) brings you into the world of automotive design and testing in their attraction aptly named Test Track. 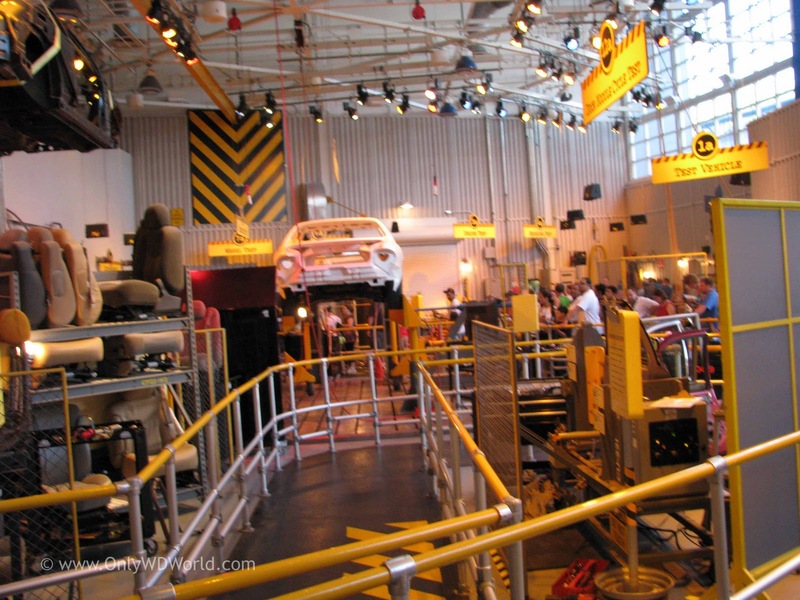 No matter which line you take to experience Test Track (Single Rider, FastPass, or Stand-By) you will get a chance to experience the world of automotive testing while you make your way to the featured thrill ride. Once you enter the building you quickly see that this is not your typical theme park line for a ride. 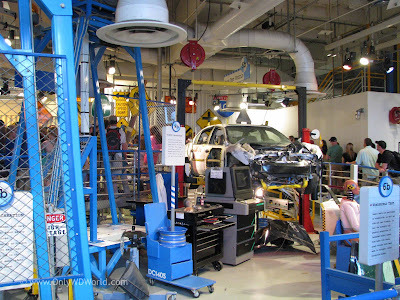 Disney and General Motors literally spent millions of dollars to create this immersive environment to entertain and educate (in that order) you while you wait. 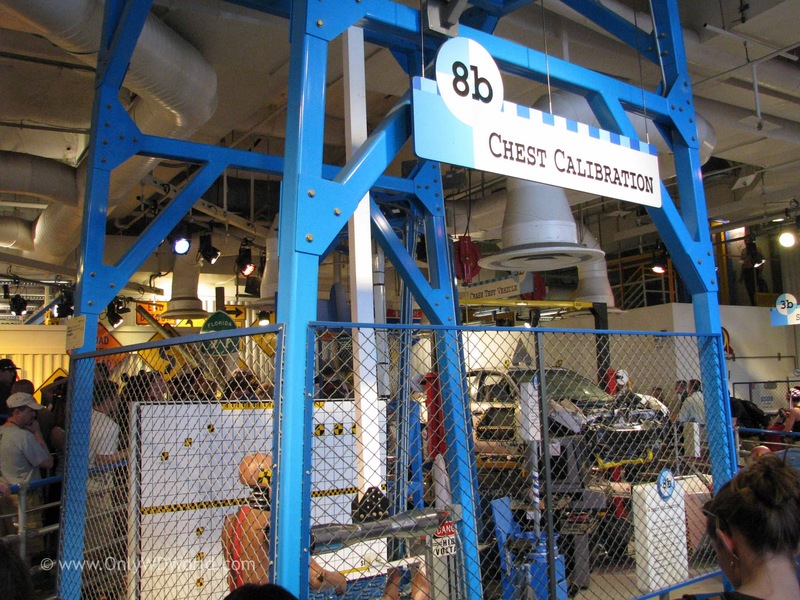 The Disney Imagineers use real testing equipment and cars as the props in the testing area. As guests you get a chance to see some of the actual testing that is conducted on cars during their development phase. Track Test may be one of the most impressive of all of the attraction queues in Disney World. 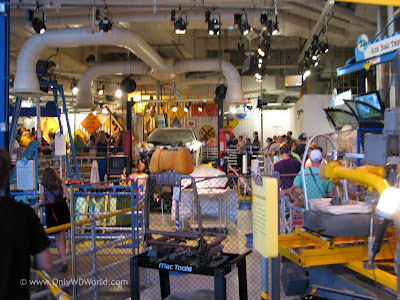 There is no shortage of visual stimulation here. Believe it or you may actually be disappointed if there isn't a line because you will be rushed through this area and not get a chance to check out everything that is here! 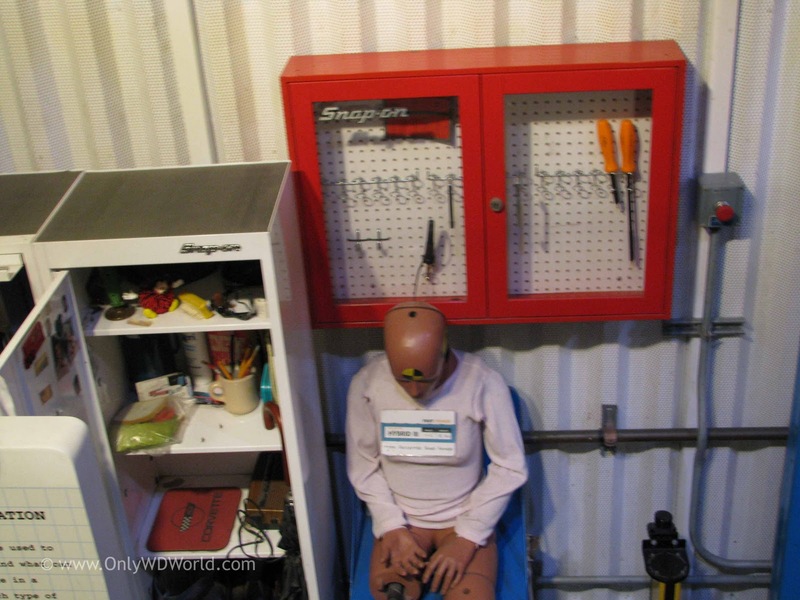 There are a number of Crash Test Dummies to be found here. 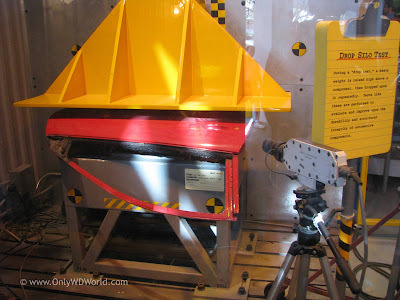 If you read the "Kingdom Keepers" books by Ridley Pearson you may get a little scared, but don't worry they are not audio-animatronic. 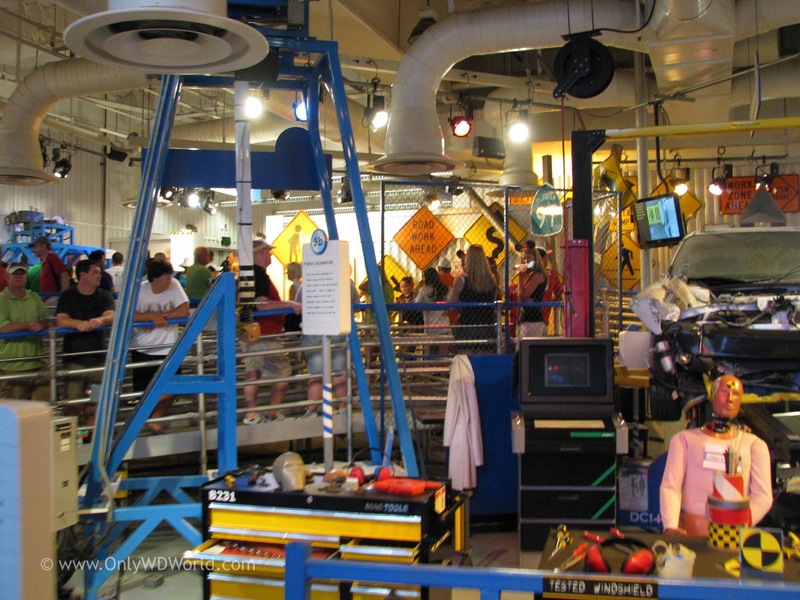 The array of tools and equipment here is amazing. 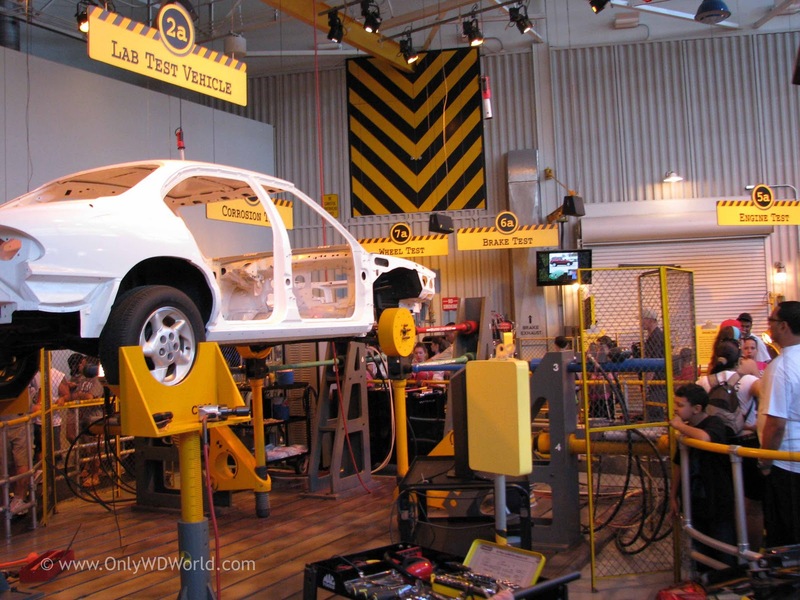 At each new testing area there are descriptive panels so that you can understand the type of testing that is conducted. 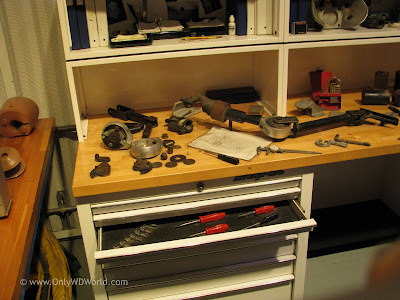 A close-up look at the tools is provided. You will also notice that Disney uses the area to show off their preferred tool "sponsor" here. It recently shifted from Snap-On to MAC Tools, so all of the tools and tool chests in this area had to be exchanged to reflect the new sponsor. After your time in the testing area is complete, you proceed to the Briefing Room. Here you will watch a short video that ties together the Automotive Testing Ground Story and introduces you to the car that you will test drive and what to expect on your upcoming Test Drive. The last pre-ride area is where you finally get to see the amazing ride vehicle that has more computing power than the space shuttle (at least that is what they say!). The excitement builds in this short wait before you get strapped in. 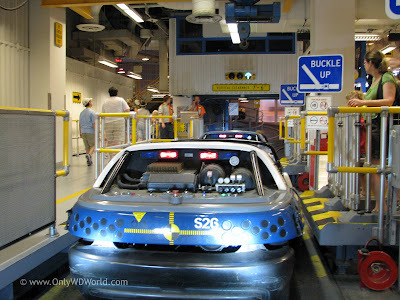 Finally you are in your ride vehicle and ready to go! 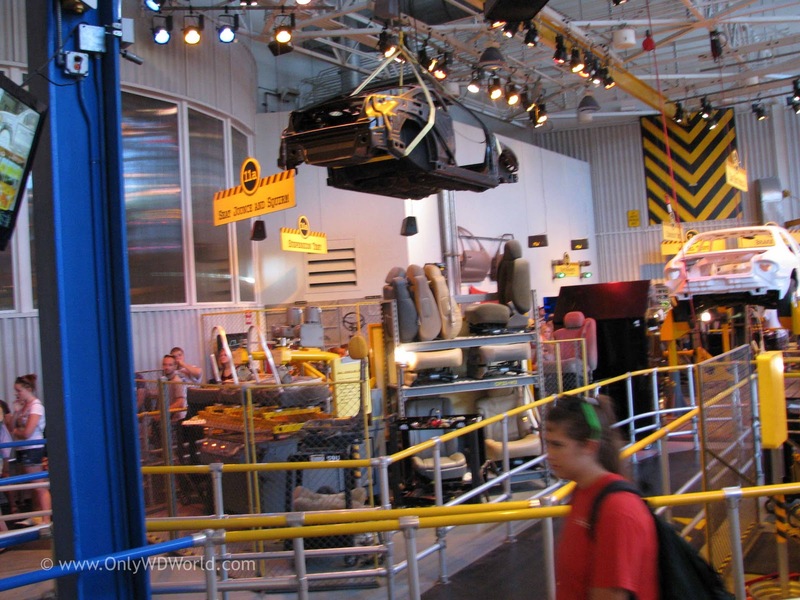 After you visit the Walt Disney World Resort, we believe that you will agree that Disney does a better job than anyone at creating a complete story around their attraction and make the absolute best ride queues. Don't be ashamed if you feel you are getting rushed too fast through the queue and you did get enough time to take it all in. 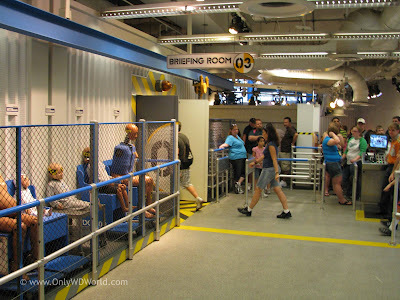 That is just a good excuse to experience the attraction again! 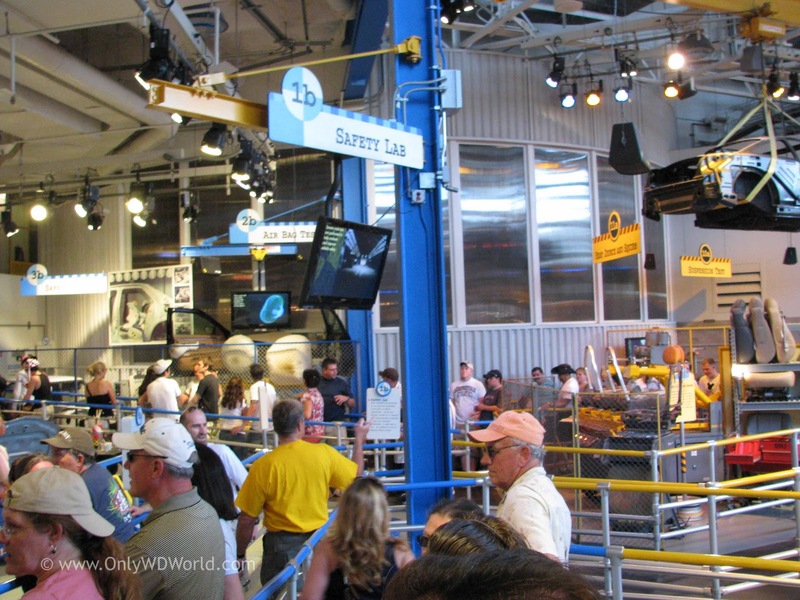 1 comments to "Not Just Waiting In Line At Disney World: Test Track"
Such a shame that they re-did this line queue into what it is today. 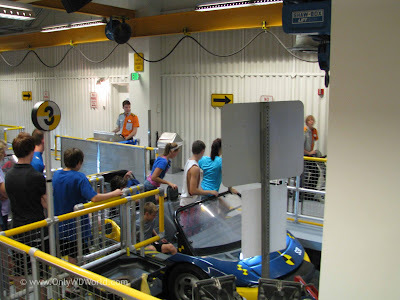 The updates from 2012 to Test Track were extremely disappoining.